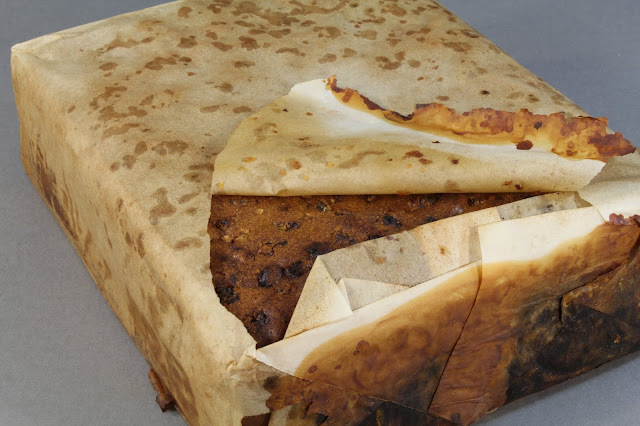 A fruitcake dating back to 1910, still neatly wrapped in paper and in its original metal tin packaging has been found. It is believed that the cake was brought to Antarctica by British Royal Navy Captain, Robert Falcon Scott. In 1910 he embarked on an expedition named Terra Nova, otherwise known as the British Antarctic Research for the purpose of scientific and geographical exploration. In documentation about the expedition, it mentions the exact same brand of fruit cake from Huntley & Palmers as the one which was found. Manager of the Antartic Heritage Trust, Lizzie Meek, describes the cake as extremely well preserved, even though the metal tin containing it has deteriorated. It has just a very slight rancid butter smell, but other than that smells and looks edible. Alcohol and sugar are both natural preservatives and the extremely cold climate have assisted in preventing it to spoil.